The vital objective of this report is to analysis Merchandising Activities of Lyric Garments Limited. General objectives of this reports are to know the merchandising activities of Lyric Garments, to know the overall internal and external environment of this garments. Here also identify the major opportunity and threat of Lyric Garments and analyze buyers satisfaction level of this Garments. Finally make proper guideline to remove all the problems and swot analysis of Merchandising Activities of Lyric Garments Limited. Merchandising is an important work in garments sector. So that merchandiser job is essential for every garment. In this job the employer must have need hard working mind, convincing power, instant intelligence, powerful observation, patience etc. Without merchandiser no garments can run smoothly. Without buyer no garments company can exists. For this reason buyer satisfaction is very important. Buyer means that buy the products from any organization. In garments sector buyer means especially foreign buyer who come to our country and buy products from our garments. At this time of giving order if buyer satisfied with the help of merchandiser then the buyer will come again. Buyers another condition is delivery the products in due time. Merchandiser take care this condition seriously. Because if buyers do not get products due time then they will not come again that garments. So merchandisers are handling and caring all kinds of work from taking order to delivery products to buyers and always wants to satisfy them because garments or garments sector’s welfare depends on buyer’s satisfaction. I have chosen ready made garments industry to do my internship and the name of the company is Lyric Garments Ltd. It is a private limited company. 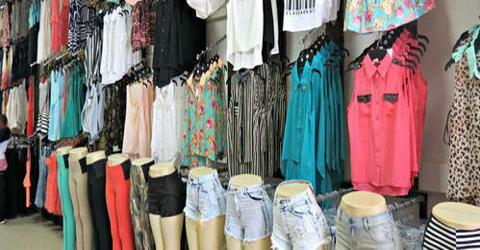 Ready made garments are fast growing export sector in Bangladesh. The overall impact of readymade garments export is certainly one of the most significant social and economic developments in contemporary Bangladesh. In order to simulate rapid of the country, particularly through industrialization, the government has adopted an open door policy to attract foreign investment in Bangladesh. As a result there are about 2500 export oriented readymade garments in Bangladesh. To find out the merchandising activities of the Garments of Bangladesh. To know the merchandising activities of Lyric Garments Ltd.
To know the overall internal and external environment of this garments. Identify the major opportunity and threat of Lyric Garments Ltd.
To know buyers satisfaction level of Lyric Garments Ltd.
To make up proper guideline to remove all the problems. This report has been prepared on the basis of experience gathered during the period of internship. For preparing the report, I have also got the information from annual report, and catalogue from the Lyric Garments Ltd. The study will be conducted on merchandising activities and buyer satisfaction level of Lyric Garments Ltd. There are eight buyers in Lyric Garments Ltd. Therefore for the purpose of the study buyers satisfaction level of Lyric Garments Ltd. would be constraints of the study. For buyers here consider as sample of the study. The author assumes that these four buyers will represent the total buyers of Lyric Garments Ltd.
Only Lyric Garments Ltd. would be the sampling unit for the study. Time to time discussion with the officials of Lyric Garments Ltd. Monthly report of Lyric Garments Ltd.
Catalogue and annual report of Lyric Garments Ltd. Lyric Garments is a renowned enterprise since 1991 with import & export right that specializes for deployment of design & production of knitwear &sweeter. Lyric Garments is equipped with all modern machineries for knitting, fabric dying, yarn dyeing, sewing, embroidery, woven label, printing & packaging at the same premises. Lyric Garments head office is located in Malibag, one of the industrial cities of Bangladesh. Having an area of about 3, 30,000 sft, with an employment of over 4500 people. 100% of the products are exported to the European market. Aiming at continuous and steady development, Lyric Garments has established the development philosophy of deserving the market and development of the company. It seeks co-operation based on credit standing, better service and mutual benefit. Lyric Garments dedicated to exploring the wide international clothing market and seeking more international partners for the glory in the 21st century. Lyric Garments is the sister concern of Lyric Garments of Companies. Lyric Garments has been working with reputation and goodwill since 1991. As the sister concern of Lyric Garments Group, Lyric Garments launched its activities in 1995. And it is playing intensive role in garments sector till now. However, Lyric Garments and Garments is specialized in garment manufacturing. The unit has all modern, high speed garment stitching machines. The knit has been designed to maintain an un-interrupted and smooth flow of work and creative working environment. In the export market supply of quality product is considered to be prime determinant for successful marketing of the product. It is generally believed that the buyers do not sacrifice quality for the sake of price. As such, quality of the product must be ensured to compete in the export market. The sponsors of the company to remain always conscious about the quality, design etc. of fabrics. To produce quality fabrics they are required to use proper imported and local raw materials, right –type machinery and to employ experienced and skilled personnel. The quality control section of the project must be equipped with the required and necessary quality control equipment so that at every stage of production quality of the product may be ensured; otherwise, it may difficult for the project to penetrate their product successfully in the international market unless quality is maintained properly. Lyric Garments Group setting up a Composite Textile Industries consists of Knitting unit, Fabric Dyeing Finishing unit and Garments unit. The project will produce Knitted Fabric, beached dyed finished Fabrics and Knitwear apparels like as T-Shirt and Polo-Shirt in Garments section. The project has most modern and sophisticated machinery in the section of knitting for producing quality fabrics, Most modern and sophisticated machinery also included in the dyeing finishing unit to produce quality product. Finally, the fabrics will be using in the garments unit to produce T-Shirt, Polo-shirt and high value knit wear. The annual sale-able product of the proposed project based on three-shift operation per day of 8(eight) hours each shift and working for 300 days in a year both for Knitting and Dyeing & Finishing unit and Garments section is 10 hours per day at 100% capacity. In merchandising process at first a mail is received from the buyer with a sketch, details of design are mentioned in this sketch. With the sketch the buyer send the measurement chart. The buyer mentions the fabric details, washing instructions, trims details etc. in the mail. If the buyer required any special type of fabric which is not available with the garment merchandiser, they swatch for the merchandiser’s convenience. After receiving the sketch and measurement chart from the buyer, merchandiser develops the sample according to the buyer’s requirement and sends it to the buyer. After pricing negotiation finally gets the order from buyer it receive an LC also. Both the parties must be open a LC where various terms and conditions must be issued like name of buyer, country name, negotiable buyer bank, payment system, production system, delivery period, quantity, name of the port address, details bout shipping etc. After receiving the LC the merchandiser open a LC on his own company. Once the company is confirmed that the supplier has the ability to do the work properly then they negotiate the price. When the price is set with the suppler the commercial department immediately transfers the master LC in the name of supplier. Buyers confirm the order sending a signed contract sheet by mail. When the sample, pricing, quality, delivery, time, and schedule etc. can satisfy the buyers then they confirm by sending this type of signed contract sheet. After receiving the contract sheet the merchandiser takes all the preparation for production. Sometimes few buyers provide production accessories. If the buyer instructs to collect different accessories then the merchandiser negotiate with the supplier. When the enter requirements are ready then the merchandiser of Lyric Garments start production according to the sample and other mention in the contract sheet. Quality control that’s mean production control is the most important function of garment production. It is highly related to satisfy the buyer. Lyric Garments is very popular in this prospective. To control the quality of the merchandiser gives the authority to the production manager. A line chief and few supervisors control each line and provide instructions. Here the quality controller supervises the manufacturing process to maintain the quality. Under the QC there is some quality inspector to check the production within each line. After washing the garments are checked in the finishing department. In this garments every process are checked part by part. If there find any problem then the garments repair again in this way the quality of the garments are maintain in Lyric Garments. The production team of the Lyric Garments is very much strong for quality production. Finished products are washed a per buyer’s instruction. Sometimes different types of chemical are used in garments washing. There is a high possibility that the washed garments may contain some kinds of harmful germs for the skin especially for the child’s skin. For this reason the garments are sends for SGS test to make sure that weather the garments contain any kind of harmful germs or not. Lyric Garments strictly handle the SGS test. The garments are packed after washing and final checking in the finishing line. Before packing their need some accessories like price ticket, hand take, poky bag, cotton sticker etc. During packing buyer instructions must be followed. The packing must be prepared according to the ratio and style number. After washing and packing the product are finally inspected by the senior quality controller of buying house or buyer. At this time all responsibility pressured on merchandiser. If they satisfied after inspection then the product is as ok for shipment. This is the final step of merchandising. In this step commercial manager helps the merchandiser to maintain liaison with shipping lines. The supplier performs all the functions of shipment. There are different functions are done by the commercial manager like UD collection, CNF for shipping. The company is a hundred percent export oriented company. Sales are done through buying house. Lyric Garments has already been established as a strong brand of garments manufacturer among the Bangladesh RMG sector. However at present there is tremendous competition in the market and among this tough competition the company is performing well. The company has remarkable market share in the garments sector. Lyric Garments achieved the ISO Certification 9001:2000 for their quality management system. Production is a continuous process and it may increase or decrease any time. In here we see that the production performance is increasing year to year. Though it is increasing day by day but it has some weakness. I have tried to clear about this matter in analysis. Production sample is very much important requirement for RMG business. It is the preliminary requirement for buyer. Through attractive production sample the company may able to focus their activities on foreign buyers. Here Lyric Garments have strong production sample capacity. The merchandiser of the company should transfer LC in just time. On the basis of LC they take next step he or her order. In Lyric Garments the merchandiser transfer LC in due time except some uncertain reasons. So the buyers are satisfied of the company. Sewing quality of Lyric Garments is standard. The following chart shows the satisfactory of buyers. Here 50% buyers sere strongly agree, 47% buyers are agreed and 3% buyers are neutral of sewing quality. Beside sewing quality Lyric Garments maintain standard packing procedure. Without well packing the product cannot reach at the buyer’s hand. So buyers are satisfied on packing. Here 48% buyer’s sere strongly agreed, 51% buyers are agreed and 1% buyers are neutral on better packing. I have collected information from different buyers of Lyric Garments. There is problem in negotiation or communication with buyers of the merchandiser. Buyer’s satisfaction highly depends on negotiation skill. For this reason 50% buyers are strongly agreed, 45% are agreed and 5% neutral. Product delivery in due time is very important function of a merchandiser. A buyer satisfaction is highly depends on it. In my questionnaire it is clear that all buyers are not satisfied on Lyric Garments for their product delivery. Here 2 Percent buyers are disagree on delivery product in due time, 60% buyers are strongly agree, 30% are agree and 8% neutral. Working situation is very much important to continue to work. It depends on the strong machineries, clean and silent environment. In here 50% buyers are strongly agree, 40% agree and 10% neutral. The total system of Lyric Garments is better. In here 70% buyers are strongly agree and 30 percent buyers are agree. Production capacity of Lyric Garments is in average woven top 1.5 million per month, woven bottom- 0.45 million per month, knit-0.5 million per month. The company has its own plant and manufacturer A-Z of products. Factory location is in Dhaka, so it can provide better service to its customers or buyer. Eight percent of raw materials are imported from countries like China, Taiwan and Korea. So inventory has maintained very strictly and product costs rises due to problems in the customs and releasing of goods from the port. Lack of skill labor is a serious problem. Whenever any machine gets out of order it has to be fixed by bringing technicians and for this result costs are high. Domestic annual readymade garments demand has an increasing tend. More orders are coming from buyers and so its demand is increasing and so price is also increasing. Lyric Garments has an established market throughout the country and so it enjoys good order quantity through the year. Company had bonded warehouse so can take advantage of export facility and don’t have to pay tax for its important of raw materials. Operational efficiency and cost efficiency can be improved further by building more skilled labor and setup of new automated machines. Recently the price of raw materials has increased dramatically specially fabrics, dying etc. this put an adverse affect on the cost of production and moreover stock raw materials become difficult, as too much working capital is needed. Overall profitability decreases as a whole after the quota system was taken away in 2010. Intense competition within industry becomes another threat for Lyric Garments. Price was takes place in market. For a small difference in price buyer change their suppliers. Lyric Garments has not own pattern designer. For this reason they depend on the buying house. It is time consuming matter. Production performance is not always very good. Sometimes they produce low production. Sometimes they delay to transfer the L/C to the buyer. Sometimes it takes more time. Sewing quality is not very good. Training and development program is needed here. Packing quality is not high qualified in all time. Sometimes its may create problem buyers, satisfaction. HRM division is weak in this garments company. Sometimes merchandisers fail to negotiate .It is create problem sometimes . Sometimes environment have not found in Lyric garments Ltd.
As an employee merchandiser’s job is vital and risky. Because buyers satisfaction depends on merchandiser’s handling power. If garments deliver the products according to the buyers due time, responsible price and their demandable style then the buyers will come again, because they are satisfied. For this satisfaction of buyers, the responsible person is the merchandiser. The Lyric garment has been taken all kinds of satisfactory work for buyers in all order. As a result their number of buyers is increasing year after year. From establishment to till today they are successful. Mainly their buyers are USA, UK, Italy, France, Germany and New Zealand, based organization. So Lyric Garments satisfied their customers or buyers by the help of their merchandiser and merchandising work for long run profit. Lyric Garments main goal is profit maximization in long run. It will hope that Lyric Garments satisfied their buyers in future by the help of more efficient merchandiser.